ST. PETERSBURG, Fla. (AP) Wilson Ramos drove in four runs in the first two innings against Justin Verlander, and the Tampa Bay Rays went on to a 5-2 win over the Houston Astros on Saturday. 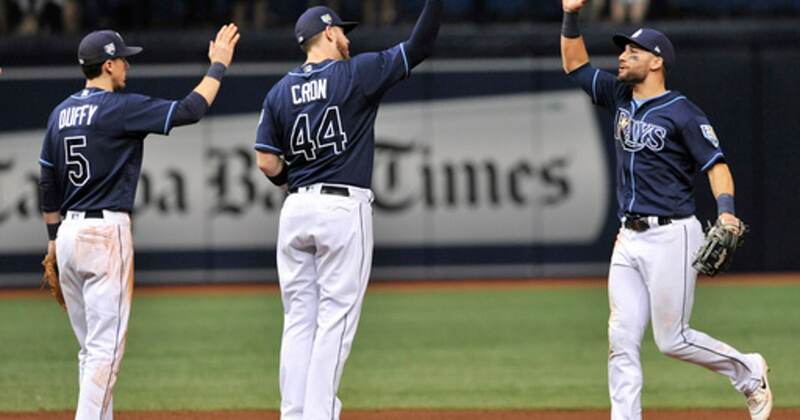 Matt Duffy finished with three hits, including two in the first two innings, to help the Rays win for the seventh time in eight tames to move to .500 (41-41) for the first time since June 1. Tampa Bay has held opponents to two runs or fewer in five straight games for only the second time in franchise history. Ramos got the Rays on the scoreboard with a two-run double in the first, and made it 5-0 with a two-run single in the second. Verlander (9-4) gave up a season-high five runs in a season-low five innings, giving up nine hits while striking out eight. He came into the came with a major league-leading 1.82 ERA, but it was 4.34 in six June starts. The Astros have lost his last three starts. Astros: RHP Joe Smith (sore right elbow) will make what the Astros expect to be a final rehab appearance at Double-A Corpus Christi before being activated. … 1B Yuli Gurriel (paternity leave) is expected to be back in lineup Sunday. Rays: RHP Wilmer Font was placed on the 10-day disabled and RHP Hunter Wood was recalled from Triple-A Durham. Manager Kevin Cash said an optimistic timeframe has Font missing eight weeks. … Cash didn’t completely rule out RHP Chris Archer (left abdominal strain) from returning after his first rehab start Tuesday night� for Class A Charlotte.